These are just a few words that have been used to describe Hot Air Expeditions’ Arizona ballooning experiences. Hot Air Expeditions has been making memories with guests in sunny Arizona, providing hot air ballooning experiences locally for over 28 years. 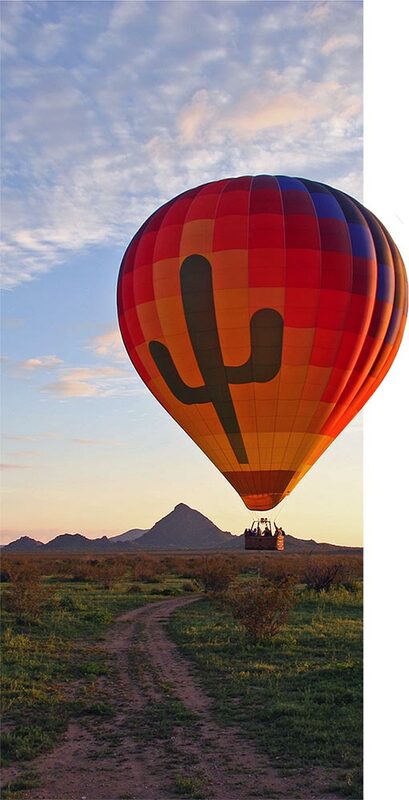 Family owned and locally operated, we take pride in offering high-end hot air balloon rides in Phoenix and hot air balloon rides in Tucson. At Hot Air Expeditions, we believe the little touches make a world of difference, which is why we take pride in providing the very best service and offerings that are available to our guests, ensuring an enjoyable ride and memories to last a lifetime. Our hot air balloon rides are perfect for special occasions, or just for an adventurous date or family outing. We love celebrating with you, whether you’re looking for a fun birthday or anniversary celebration, rewarding your staff for a job well done with a group hot air balloon ride, or considering a hot air balloon proposal or hot air balloon wedding, we are here to make your time with you extra special, making memories that stand the test of time. 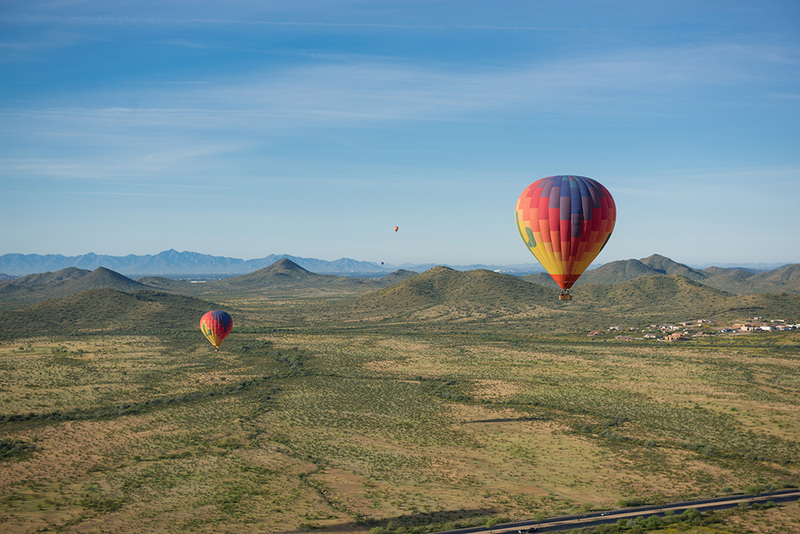 Whether you’re a first-time flyer, or ballooning connoisseur, floating over the stunning Sonoran Desert will leave you in awe of nature’s beauty and the peacefulness of flight. Your ballooning adventure is waiting for you…what are you waiting for? At Hot Air Expeditions We Believe That Your Time Up, Up And Away Should Be More Than Just A Balloon Ride, It Is An Experience. Take a look around for more information and read the answers to frequently asked questions by our guests before your ballooning experience.